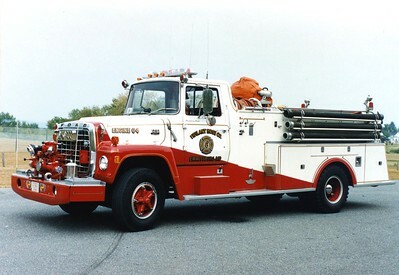 Tower 6 is a 1994 Pierce Lance, 1500/300, 100', sn- E8576. 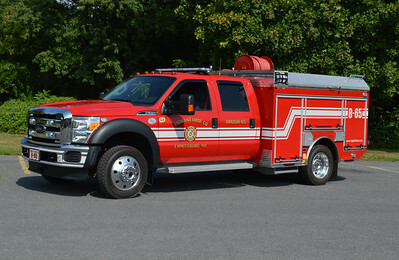 Emmitsburg, Maryland in Frederick County Brush 65 - 2014 Ford F550/4x4/EJ Metals - Bear Kat 250/300/10A. 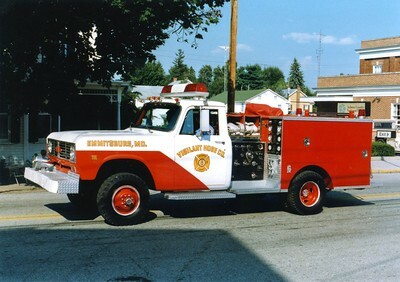 Photographed at the Cumberland Valley Volunteer Firemen's Association (113th year) convention in Chambersburg, PA.
Engine 64 was this 1971 Ford 900/American, 750/1000, sn- 3249-3-1971. Donated to Pine Mountains, Arkansas, in 2000. 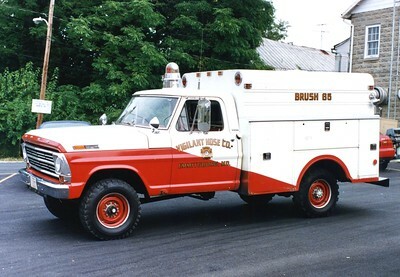 Brush 65 was this nice 1968 Ford F-250/Morysville, 25/100. ex - Squad 6. 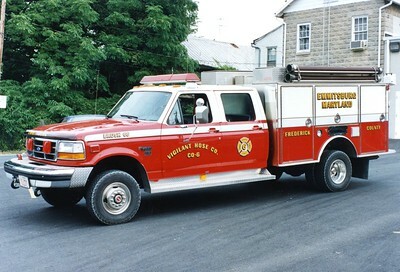 Brush 66 was a 1994 Ford Super Duty XLT/S&S, 500/250. 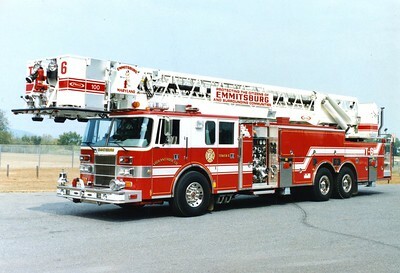 Emmittsburg's former Brush 66, a 1973 International/Pierce, 300/300. ex - Buffalo, New York.